Almost 8 years ago I was trying to decide on a name for my new company. After several thousand hours working with leaders, it hit me that if I were going to tell leaders two things that they should focus on everyday it would be this: Always be building TRUST with the people around you and leverage that to get the TRUTH on the table. TrU in the name of my company is a daily reminder of what I believe and how I want to impact the leaders I work with. Fast forward – When Harvard Business Review offered a free download of a new article, The Neuroscience of Trust: Management behaviors that foster employee engagement by Paul J. Zak, I immediately got it and read it. I posted about it, and this week I sent purchased copies to all of my EOS® partner companies and asked them to do a leadership study around it this summer. I want to share it with you because I believe everyone should understand how the brain works and how they can influence the FEELINGS that get generated by the brain each day. The feeling that I care about most because I believe in people-centered leadership is TRUST. Here is the FREE study guide, and I believe it is $8 well spent to get a copy of the article. If you want me to help facilitate the learning at your company this summer I have special rate for my trUTips readers to do that – just drop me a note and mention you are on my trUTips mailing list. My guarantee is that if you don’t find the article helpful let me know and I will refund your $8 – personally. A friend shared a great analogy with me last week comparing professional development and golf. He had a friend that was a teaching pro in golf, and received lots of requests to ‘help my game get better’. Ultimately he told everyone the same thing – if you want to get better you need to practice lots more, and play fewer full rounds of golf. Person after person came for lessons, and only actually practiced when they were paying the pro for lessons. Their games never really got better. In the space between mediocre and great is work. But not just work, purposeful work targeted at getting better in an area that you are interested in and passionate about. There is nothing EASY about the path to mastery, and yet there are moves to make the work more fun. Leader – you first: If people see you taking on projects where you name the intent (challenge/growth) and keep a positive attitude when it gets hard, they will have a role model. Your attitude towards your own development will permeate your team. Ask first for participation: Two easy questions for people: What do you want to do more of in your role? What do you want to do less of? – help people identify areas they want to focus and work to match that with improvements you want made. They get more practice in an area of interest, and you make it a range session. View failure as learning: Part of practice is hitting a bad shot. Make a habit out of doing two things when that happens: First, pour your energy into either helping them fix it or thanking them for reacting so quickly to fix it. Make it a point to circle back and simply ask the questions: What did you learn from that incident? What steps can we take to ensure that does not happen again? The one thing I did not hear from the pro is the option of using a slow day on the course to hit multiple balls, retake shots, or take some extra time to think through shots. I often see the summer as a time to bring in some interns, spread the work around ,and give people time to focus on improving their games. Practice is what you make of it, you won’t reach MASTERY without it, it will never be the classic definition of EASY, and many times you will have to work to make it Fun. When I see MASTERY at work in a controller, a project manager, a speaker, or a COO I marvel at how easy they make it look – and I also seek out the story behind their MASTERY. Funny connection – their story never sounds easy, but it often sounds fun. 1. Reading is too often hiding. Here is an example – conflict management. I have encountered two situations in the past year where someone was assigned a task to read a book about dealing more directly with conflict. In each case they did not get better but they enjoyed the book. Hmm . . . .
2. Reading is based on the premise that you need more information to deal with a challenge. My first question around a development goal is what have you learned or experienced in the past that applies to this challenge? My two oldest children have received more leadership training in the last year than I have in the last 5 years. Use what they have first, and they likely have something to use. 2. Carve out 15 minutes of learning time in every team meeting where people on your team teach each other something new. Need content? See #1. I love learning. In each of the 5 times I have taken the Strengthsfinder assessment over the last 10 years Learner shows up in my top 5. Learning agility is the one competency Lominger was able to tie to the identification of high potentials. Learning is important, but in 2014 it does not mean pick up a book. My message for 2014 is to keep learning but put the books away and add more doing to your development goals. In a recent conversation I was sharing a story with a mentor and friend about how I handled a difficult moment in a facilitation. As I reflected back on how I reacted to the individual causing the problem in the session, the outcomes, and how some of my facilitation work in the past year prepared me she shared with me a reflection of her own: Scott, you have increased your capacity to manage a space filled with many different perspectives and voices. That word caught me off guard. I started my career in a capacity planning role worried about the output of a steel mill and then 80+ injection molding machines. It was a very familiar word for me, and yet it was one that I had only use with very physical and definable assets . . . And I like it! Preparing a team for change: What is the capacity of this team to handle this change? What will it require of us? What proven skills and talents do we have? What is one area we need to increase our capacity? Your own development: What part of your job are you “at capacity” and feel like you cannot possibly have any more to give? What part of your job are you avoiding because it is unfamiliar, uncomfortable, and/or undesirable – but important? If you added 10% capacity in that area what would that look like? How can that be accomplished? Coaching is about increasing capacity in clients. I get great satisfaction when I hear people say they see themselves differently and, as a result, are able to navigate situations effectively that would have tripped them up in the past. One of my all-time favorite books on development is Mastery by George Leonard. Inherent in a journey to mastery is a commitment to always be open and able to increasing your own capacity. Capacity is a tried and true manufacturing word, and a great word for the world of managing talent in an economy putting so much emphasis on the knowledge and capacity of people. How does the term capacity show up in your conversations today? What other words are cornerstones to your talent conversations? mini-trU Tip: The only way to know your true capacity is to exceed it because you push the boundaries. That was true when I first started my career worrying about the capacity of equipment, and it is equally true as I enter the second decade of a career focused on the capacity of people. A good topic for another blog posting . . . .
An email came from the Gallup organization yesterday inviting me to buy a full ranking of my Strengthsfinder results for the bargain price of $89. It promised my 34 talent themes ranked from strongest to weakest. For those of you that have never taken it, when you buy Strengthsfinder 2.0 or Now, Discover Your Strengths from Gallup you get a code that will allow you to take an assessment that gives you your top 5 talents. It is a great assessment. Great move by Gallup, because the popularity of this assessment has resulted in tens of millions of people taking it. If 1% get excited about this offer it will be very profitable. I have personally helped over 500 people understand their Strengthsfinder results, and in every group there is always one person who wants more data – all 34 talent themes ranked. My standard response has been – “What would you do with more data?” The answers I hear includes statements like Then I will really know or words like certain, exact, and total clarity. My response – Talent themes start the conversation. The rest of the conversation is about understanding them, self-observing to see them at work, building on them, refining your understanding of them, and then repeating this process endlessly. It is not a neat and clean project that ends with a deliverable. In the end, someone tells you something like You are wise or You do a great job adapting to different situations. In that is the inherent belief that You get yourself. Feel free to buy more data, but you don’t need more data. Do the work. Based on surveying 150+ human resource and business leaders 20% seems to be the magic number. Only 20% of organizations have development plans for ALL their high potentials and for their executive teams. This is a key conversation because it allows for a great conversation around past, present, and future. 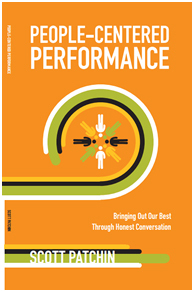 My standard measure for a great conversation around performance and development is 30 / 30 / 40. 30% focused on the past, 30% focused on where you are right now, and 40% focused on where things need to be in the future. 1. Refined knowledge of talents/nontalents: Wisdom is knowledge gained from our experiences that we apply to influence the outcomes of some present or future situation. When individuals develop wisdom about their talents/non-talents the success rate for taking on new assignments or successfully building a relationship with a new leader goes way up. Development plans (see my template) always start with refining our picture of ourselves. 2. Creates the building block for performance – A Strength: Gallup shared the formula Strength = Talent + Skill + Knowledge in their book First, Break All The Rules. Research has also shown that achieving mastery in a discipline takes 10,000 hours of effort (see Malcolm Gladwell’s book – Outliers). The core of the development plan is to script the building of skills and knowledge so that the effort people are putting into personal growth moves them towards mastery. 3. Get Feedback From Others: Where a plan or measure exists, feedback has the best chance of happening. Author Jodi Glickman (Great On The Job) says the goal of feedback – “. . . . is not to make you feel good. The goal is to make you better at your job.” We do not get better without understanding the perceptions of others. In our own minds, we are all amazing performers. 🙂 A great development conversation confirms and challenges this belief. 4. Proactively Deal With A Weakness: Weaknesses are either non-talents that are required for success in your current job or strengths that are being overused. Whichever the case, spending time talking about weaknesses before a performance evaluation is done or before they evolve into a crisis provides an opportunity for that individual to make a conscious shift to address an issue before it becomes a big problem. 5. Self Management of Stress: Development plans get people thinking about what their preferred future looks like, whether it is 6 months out or two years. This includes what has to change in how they are feeling about their role – ie: stress, balance, and focus. It is not a leader’s job to fix how their team members are feeling, but it is their job to ask the questions, be present for the answers, and support the plans that are created. When I first created the Talent Scorecard over two years ago this list was not in my mind. Since learning that only a small number of teams have development plans for all their people (20%) and personally leading 30+ leaders through the creation of Individual Development Plans this list has emerged. It is one of the new additions to my Talent Scorecard presentation that I will be sharing at the Illinois SHRM State Conference in a couple of weeks – and it has become one of my favorite conversations. If you are interested in what your Talent Scorecard looks like – here is a link to an on-line version that will give you a printout of your results and some hints for what your priorities should be. Our Talent / Self Awareness Language – Have One? How do you talk about what you are good at doing? Does it sound like a list of your educational accomplishments? Do you share the last three job titles you have? Does some answer come out as you look awkwardly at the floor? Developing a language around who you are, what you bring to a role, and how the learning from your past will be a fuel for your future success is where talent management starts. The challenge – making the journey for wisdom a habit and not just something you do once and then just put your head down and work for the next 10 years. Are you stuck with thinking of yourself as a degree or a role? Buy the book Strengthsfinder 2.o by Tom Rath and take the assessment. What are the key things I need to understand about myself? Take a look at my trUYou™ model and fill in the boxes. Where are your gaps? How confident are you in the picture it paints? I was talking to a community organization this week about coming to their area to provide a keynote for a community leadership program. I thought what seeds can I plant in that community to help each individual move it along and initiate some conversations among the people that will keep things going long after I leave. One tool – Strengthsfinder 2.0 and one model – trUYou™ are great ways to begin any journey towards development and performance. Once we share a language, the conversation becomes more impactful and a learning community is born. Sound like a great journey?